The car accident lawyers at The Kelleher Firm do not back down from powerful opponents when fighting for compensation on your behalf. When dealing with a traumatic injury and a damaged car, it can feel overwhelming and downright impossible to speak with an insurance adjuster. Rely on our experienced car accident attorneys in Naples and Fort Myers to handle your claim for you. Your case evaluation is free and we will pursue maximum compensation on your behalf. Please call us now at 833-546-3675. What About My PIP Coverage? Why Hire an Attorney After a Crash? Oftentimes, the things listed above stem from negligence, which is someone's careless behavior. A certain level of care and caution is required to safely operate a motor vehicle. When the motorist shirks or ignores this standard of care, accident risk increases. Sometimes accidents are the result of a fatigued truck driver or a careless pedestrian. Even these things are considered acts of negligence. Consult our lawyers to find out who is at fault in your car crash. These injuries may result in long-term disability or loss of bodily functions, as well as chronic pain and other problems. You may be unable to return to work and therefore unable to support yourself and your family. These injuries also commonly lead to lasting mental and emotional trauma. We do not rest until we have reached the best possible resolution in your case. Get emergency medical attention if you need it. If it's obvious you are catastrophically injured, follow the instructions of the responding emergency personnel. Your safety and health is priority, and our lawyers will help you sort out the details after you are treated for your injuries. Exchange contact information and insurance information with the other driver. Do not apologize or admit fault when conversing with the other driver, but cooperate with them to exchange names, license plate numbers and insurance information. If it is safe to do so (i.e. do not enter into the line of traffic to do so), use your smartphone to take pictures of the scene of the accident. You should also take photos of damage to your vehicle and any apparent injuries you sustained. These images can help our lawyers and investigators re-create the accident scene when resolving your claim. Record the location of the crash and anything you remember leading up to the accident. If you saw what contributed to the collision in the moments before it happened, record those details on paper or on your phone. Gather witness information, if possible. If eyewitnesses are on the scene, ask for their names and contact information. Schedule an urgent appointment with your doctor, even if you didn't receive emergency medical care. Many injuries do not show symptoms right away. Schedule an appointment with your doctor to get assessed for underlying trauma. Our attorneys can inform you of your options for what to do next. For free, we will review the details of the accident to determine if you have a claim. Our goal is to get you the compensation you deserve from the at-fault driver and their insurance company, if you have a claim. Your Personal Injury Protection coverage pays for your medical bills regardless of fault in the accident; however, there are several parameters. You must receive medical care within 14 days of the accident or PIP will pay nothing. PIP covers up to 80 percent of necessary medical costs up to the limits of your policy. The minimum required coverage is $10,000. If you own a vehicle in Florida, you are required to purchase PIP coverage. If your injury is not deemed an "emergency medical condition," you cannot receive more than $2,500 in PIP compensation. But what do you do when your PIP coverage is exhausted? Exceeding the limits is fairly standard with catastrophic injuries. In other situations, crash victims face challenges getting their PIP benefits. Under certain circumstances, you may be able to sue the at-fault driver instead of relying on PIP benefits. Allow our accident attorneys to demystify the PIP process for you. We will help you understand your coverage and how you can seek to maximize compensation for your injuries. In Florida, PIP coverage is not required for motorcycles. The attorneys at The Kelleher Firm are passionate about advocating for accident victims. We know what insurance companies do to close your claim as quickly and inexpensively as possible. The insurance company is not necessarily going to give you the compensation you deserve; they are looking out for their own bottom line by paying out as little as possible. They may even try to deny your claim. The attorneys at The Kelleher Firm know the tactics used by insurance adjusters and their employers. We know how to demonstrate the impact your injury has had upon your life and livelihood, and how to pursue every dollar you need and deserve. We will also help you deal with your immediate concerns, including figuring out how to get your car fixed so you can get your kids to school and get to your job. More motorists than you would think are driving without enough insurance coverage, or without any insurance at all. When you are injured in an accident caused by such a motorist, you are left vulnerable to their inadequate coverage. If you have uninsured/underinsured motorist coverage in your own policy, our attorneys will help you make sure you get the benefits to which you are entitled. This coverage is designed to help pay for your medical expenses and property damage. Whether you have this coverage or are not sure, we recommend calling The Kelleher Firm for a free case review. We will help you determine what your policy covers and what your options are for maximizing your injury compensation. Texting and driving is one of the most dangerous forms of distracted driving. It takes your eyes and your attention away from driving. It often involves your hands too, which would add up to three forms of distraction. Sometimes police officers and accident scene investigators are able to identify distraction and texting as the cause of an accident. In other scenarios it's tricky to prove. 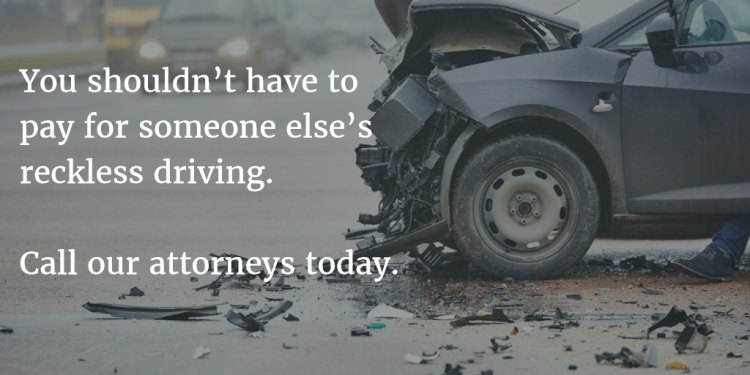 If you believe a careless, texting driver caused your crash, call our attorneys to find out what you can do next. When a drunk driver injures you in an accident, you feel frustrated and angry, in addition to the medical expenses and property damage you have to deal with. An intoxicated person recklessly chose to get behind the wheel, endangering themselves and everyone else on the road. In some of the most tragic cases we deal with, drunk drivers are sometimes responsible for the deaths of our clients' loved ones. Drunk drivers – even when they feel like they are only "buzzed" and not drunk – cannot react and make judgments in the way they can when they are sober. As a result, the risk of a crash is greatly increased. Intoxication also affects vision, alertness and coordination. Let us work for you to hold the drunk driver accountable. Oftentimes, DUI cases involve police records and criminal charges, which can be used to our advantage when pursuing compensation on your behalf. Working with numerous families over the years, our attorneys have seen how devastating these accidents can be. We are passionate about advocating for these families. In some cases, punitive damages can also be recovered in a drunk driving case. 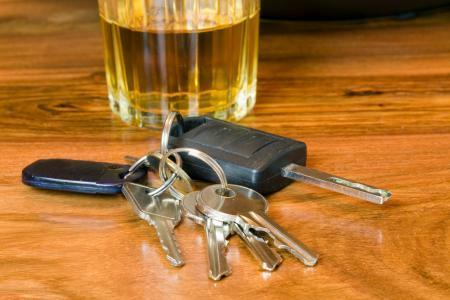 These damages are intended to act as a deterrent to future drunk driving and are usually awarded in addition to compensatory damages. Call The Kelleher Firm to find out what is possible in your claim. To find out if you have a claim, please call The Kelleher Firm, P.A., at 833-546-3675 or contact us online. We have offices in Naples and Fort Myers, and we proudly serve people from across the South Florida region.